There is a political war brewing today in the small West African nation of Sierra Leone. And this war is perhaps the fiercest this nation has ever had to face; a war about the rule of law and how far a president can stretch the powers given to him by the Constitution. The Constitution of a country, as it has come to be known by the civilized world is a legal and sacred document. It cannot be changed overnight to suit any single leader. The framers of the Sierra Leone Constitution were brilliant constitutional lawyers who delineated the separation of powers well. The constitution in a nutshell sets the guiding principles by which a free nation shall function and be governed. While designing it, the framers included enough limitations on the government to prevent any power grab by an overzealous politician. 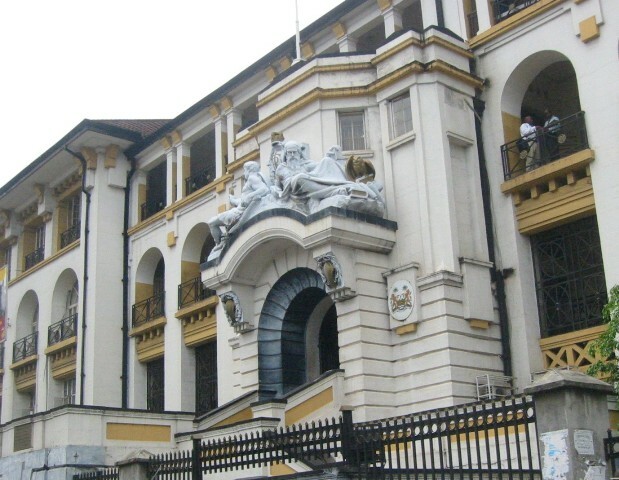 In the current stalemate created by Ernest Koroma’s dismissal of his vice, the president argues that his actions are clearly within the purview of his Party’s constitution. While he may be right, the president’s actions are beyond the reach accorded him by the Sierra Leone Constitution. The constitution made no provisions as to what President Koroma would do under the circumstances he has created. In other words, his actions are not within the rights and privileges extended to him by the nation’s constitution. The biggest problem the president now faces is himself. He might think it’s the people rising up against him. Wrong. The president is not aware of the irreparable damage his action has caused the nation. It’s making it very difficult for him to be able to get the resources he needs to govern. There is little or no economic investment coming in from the outside. 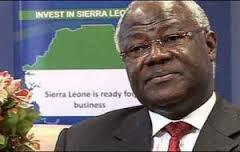 President Koroma can announce all he wants that Sierra Leone is open for business. Investors are not stupid. They tend to stay away from trouble areas. Therefore, it all means nothing when no one is listening or buying what the president has to say. But again, Ernest Bai Koroma doesn’t care. He and his cronies are wealthy enough to not having to worry about anything. And the story continues ……. The poor people of Sierra Leone continue to suffer. Let’s all hope that time catches up with the president, and the Supreme Court rules in favour of the people. By the way, most of us objecting to the president’s illegal actions are members of his own Party. However, we are intelligent enough to be able to distinguish between right and wrong. We all want to rebuild our nation, but want to begin this process by upholding the rule of law through our nation’s constitution. The Sierra Leone Telegraph has, since its maiden edition, been the vanguard of the truth and a beacon of hope of our usurped fourth estate. The paper has distinguished itself as the moderate voice of the masses and the tower of straight shooting of its reporting. Often balanced and humbled with the truth. A Newsstand of the silenced majority hoodwinked by Kabs Kanu and the ‘Unawareness’ Sylvia leaning bashing of the poor majority.